The Delorme Atlas and Gazetteer, pictured here, is a book that is published for all the states. These books contain topographical maps along with information on trails, recreation areas, campgrounds, rivers, hunting and fishing, scenic drives, as well as state attractions. They can be found at various retailers, Travel centers, as well as direct from Delorme. Inside the Louisiana atlas, you will find the state divided into 51 maps/zones/pages numbered 14-64. 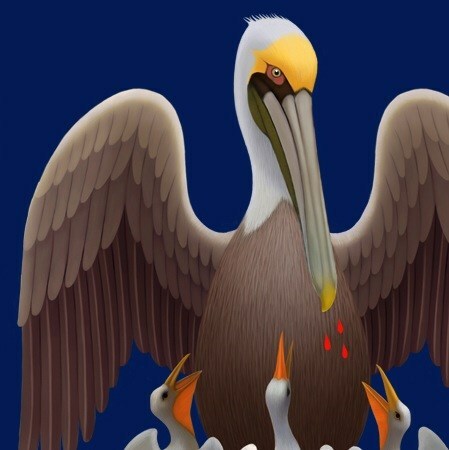 In order to complete this challenge cache, you will need to have found at least one cache from EVERY applicable page of the Louisiana Delorme Atlas. The Final for this Challenge is located on Map Page 29 - Near the Center of the State of Louisiana. Use this knowledge to best plan your challenge attempt. Signing the physical log does not count as a find on Page 29; however, you may sign the paper log here anytime you are in the area, then claim the find online when you finish the requirements. 1. Generally accepted rules, guidelines and conditions for logging a cache find will apply. These must be actual caches listed on Geocaching.com that you have personally (physically) found and logged your name in the caches logbook (Virtuals being the only exception). 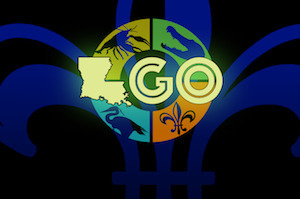 You may include ANY caches found prior to the creation of the Louisiana DeLorme Challenge so long as they meet all other Challenge requirements. 2. Event, CITO, and locationless type caches will not be allowed. All other cache types (unless otherwise noted) will be counted. 3. If an atlas page also includes an area not located in Louisiana but in another state, then only caches physically located in Louisiana will count towards the challenge. 4. Every map has borders on it. To count as a find for a page, the cache cannot be in the border area, but has to fall within the designated latitude/longitude unique to the particular map. There also exists a small possibility that a cache may have all or part of its coordinates directly on a latitude and/or longitude line that shares a side with another map. If this should occur, the cache may only be counted for ONE page, and not any others. 5. Maps 49, 59, and 60 are not part of this challenge. The areas described on those atlas pages are either NWR lands, or mainly inaccessible eroded areas. 6. On applicable maps that have split views (map 31), a cache must be found on both panel views. Currently there are caches located on both. 7. 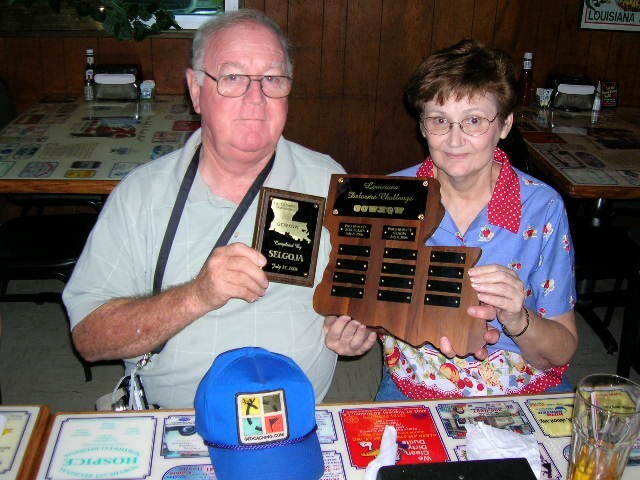 I know that many geocachers work as teams and find caches together. In order for a team to get credit for completing the challenge, then all the finds used, will need to be logged in the team's name. The opposite will also apply. I understand that other geocachers may be with a participant when they find this cache, but only the one who has met all the requirements will be allowed to log this challenge as completed. 8. 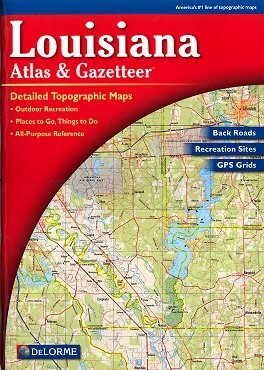 I am using the Delorme Louisiana 2010 3rd Edition atlas. While I don't think that this atlas has changed during its revisions, this edition is the one from which the challenge coordinates were obtained. If your version is different, then I'm sure we can figure out something, but you will need to ask first. The checker Script will Output a successful Completion List. You may copy/paste the Script Output into your Log as proof of fulfillment of the challenge. Thanks to Blue Blazes and BayouBug who have graciously donated their computer abilities and designed some programs to make verification simple. Many thanks go out to Moun10Bike (Washington Delorme Challenge), Prntr1 (Mississippi Delorme Challenge), and the entire Louisiana Geocaching Community for the assistance in putting this cache together.